In September, along with celebrating one of our passions, we're also honoring Close To My Heart Founder and CEO's "30 Years of Happy" anniversary by sharing with you an adorable and FREE stamp set shown at left. And I have teamed up with two other CTMH Independent Consultants -- Rebecca Brown and Julia Hammond -- to bring you daily ideas on how to use these versatile stamps. 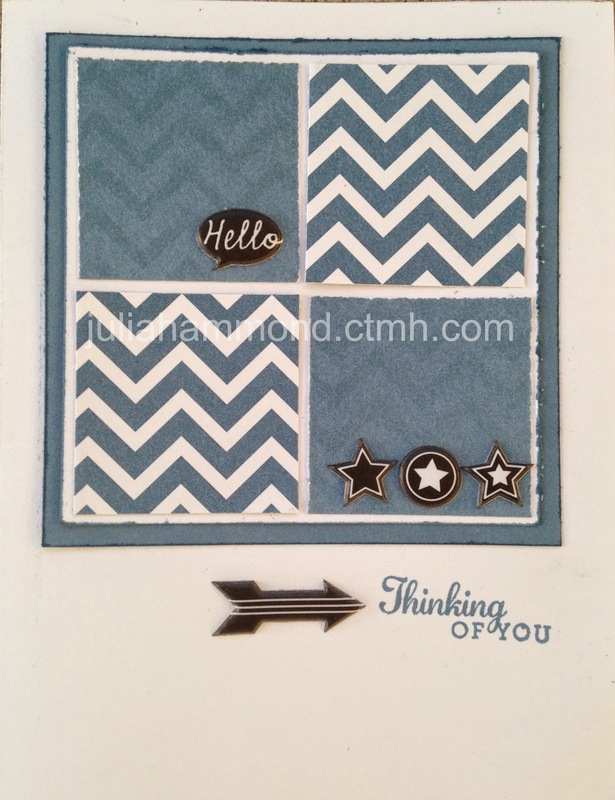 Julia used one of CTMH's Fundamentals paper packs to create this sweet card using the "Thinking of You" stamp from the #30yearsofhappy stamp set. For more information, please do visit her blog by clicking HERE.